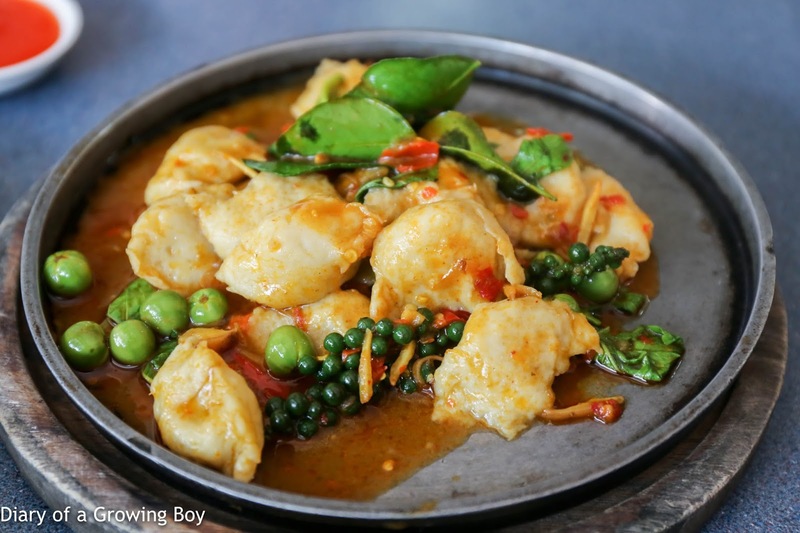 I'm still on the hunt for some old school Thai food in Bangkok, and today I chose to venture to the other side of the Chao Praya River to a place with a long history. My friend the Peranakan Baba had done an extensive tour of old school establishments in the city 2 months ago, and Tek Heng (เต็กเฮง, 符德興) was one of the places he found. Apparently the Teochew family has been running this place for more than 130 years, and is famous for having served their mee krob to King Chulalongkorn back in the day. We were lucky that the Great One and her Thai friend were coming along with us, and we were able to ask for directions in Thai. The restaurant suggested that we take the BTS and get off at Talat Phlu, then grab a taxi and ask to be taken to the "King Rama V restaurant". I guess everyone in that neighbourhood knows about this place! Anyway, the four of us ended up getting on 4 separate mototaxis, and were promptly dropped off at the location by the river. 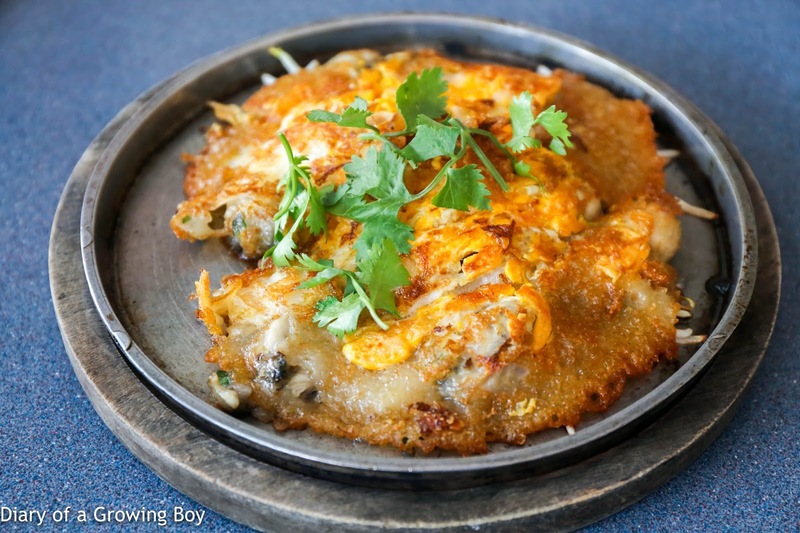 Fried oysters with omelette on hot plate (ออส่วนกระทะร้อน) - this was really, really good. I've always loved similar dishes since childhood, and here they've done a pretty good job making sure it's crispy. Great with some sriracha sauce. Spicy stir fried fish ball on hot plate - the fish balls have obviously been made by hand, and the soft and bouncy texture was real nice. Spicy and tasty. 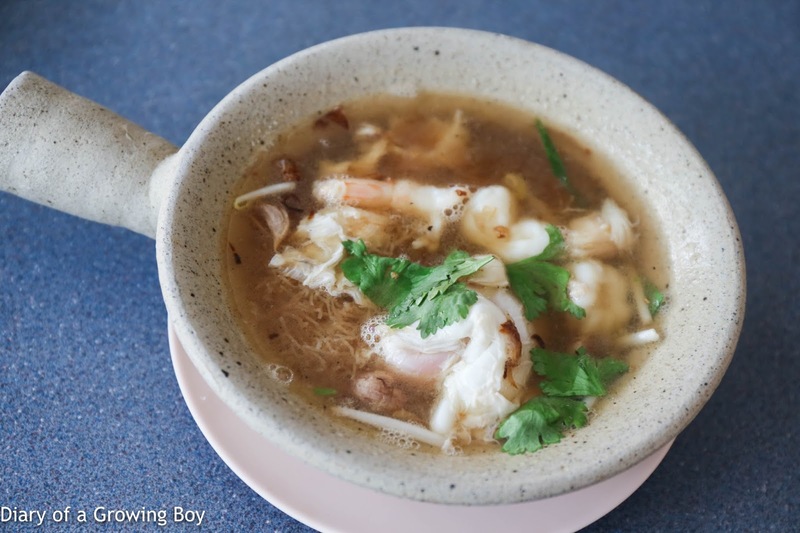 Crispy noodle with shrimp cramb and egg in soup - I never knew there was a "wet" mee krob, and neither did our Thai friend... The soup was on the tangy side, and turned out to be pretty nice. 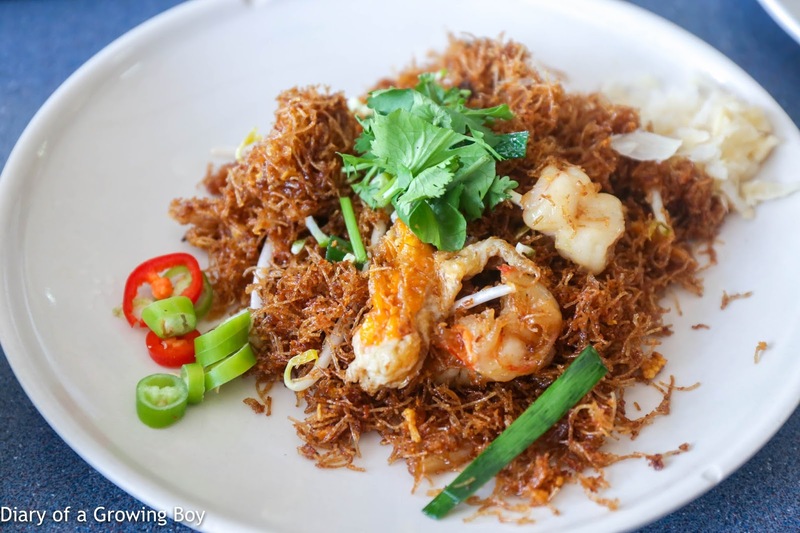 Crispy noodle with shrimp cramb and egg - the pièce de résistance. 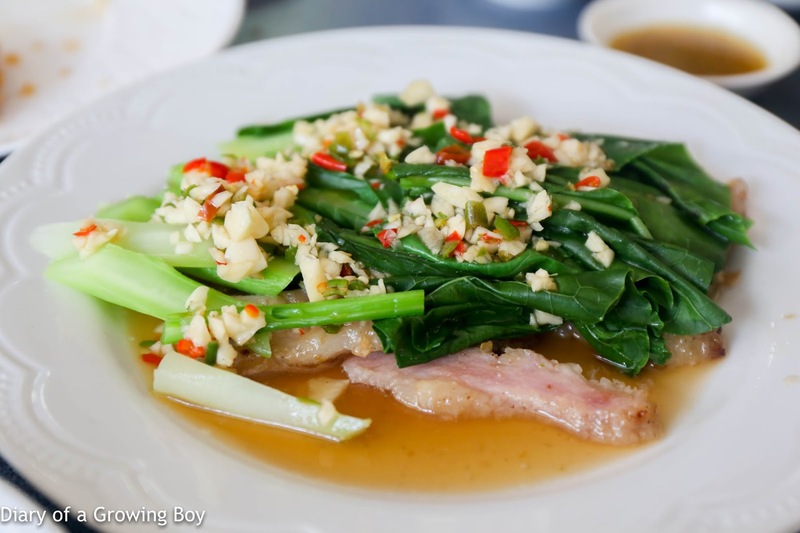 The mee krob (หมี่กรอบ) whose recipe has been passed down for more than 100 years. And it WAS tasty. In fact, it was so much better than the one I had at Chote Chitr. Texture-wise the fried noodles were pretty crunchy and hard, and the flavors were deeper and more intense. The tanginess comes from the peel and juice of a citrus fruit called som sa (ส้มซ่า), which can be a little bitter. Very, very good. 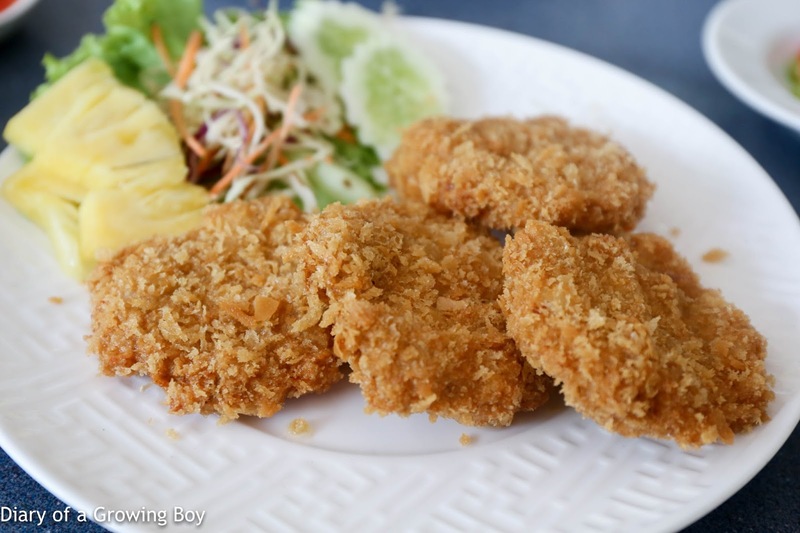 Fried shrimp cakes (ทอดมันกุ้ง) - pretty good, too. Much better than the average ones we get in Hong Kong. 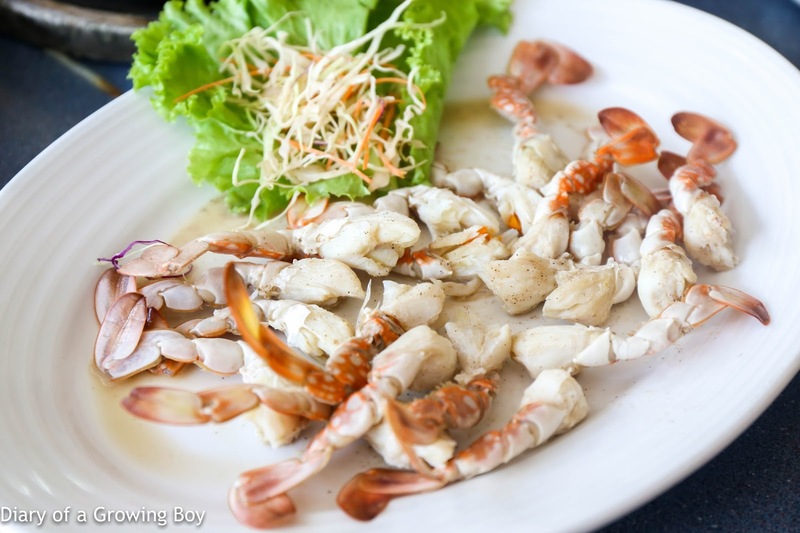 Steamed sculling crab - so they decided to serve us a whole plate of these swimming legs of crabs, simply steamed with sprinkled with a little bit of pepper salt that brings out the natural sweetness of the crab. Spicy kale with grilled pork - the slices of fatty pork neck underneath the layer of kale sure was tasty. This was a really good meal, and prices were of course very reasonable. There were no tourists here, and the flavors were very straightforward and "authentic". 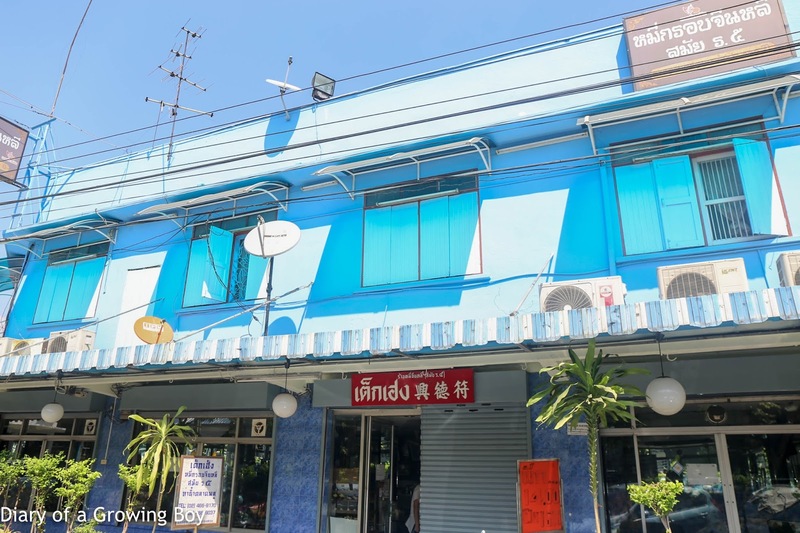 I would come back for the mee krob any day, and I would be very interested to visit the street food stalls around the Talat Phlu market nearby.